Get ready for a real Pac attack. Pac-Man falls behind the likes of Mario and Sonic, largely because Namco Bandai doesn't release enough games starring its ghost-munching mascot. Thankfully, the iconic 80s hero made a welcome return to both iOS and Android. We also awarded top honors to one of last week's games, a stylish RPG we cannot stop playing. You'll need some patience to dig into this stellar turn-based dungeon crawler. This tiled RPG sends you into hostile territory to battle monsters and grab loot. You'll then use the acquired coins to upgrade the hero's abilities, turning him into a creature-slaying machine. Dungeonism looks primitive yet stylish, and so long as you're willing to put in the effort, the game will quickly become a go-to favorite. 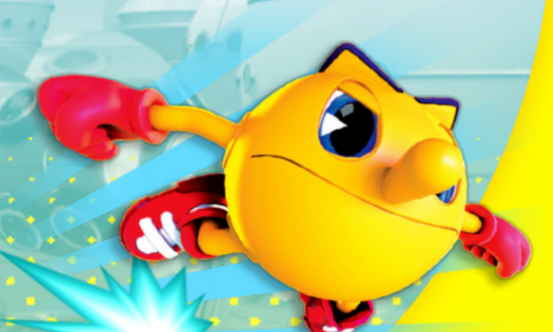 At first, Pac-Man didn't seem like an ideal candidate to star in a running game, yet Namco Bandai managed to make it work. The free-to-play Pac-Man Dash! sees you guiding the character through five different worlds eating cookies, devouring ghosts and completing different objectives. In addition, the game will tie into a series of toys releasing this summer that, when players scan the barcodes, will let them access other in-game characters. We took points away for Stamina that reduces the amount of times people can play, but overall, this polished titled left us hungry for more.